Commercial signs are a way to advertise the name of the company. The sign can be in any shape, size or color. There are a variety of designs that you can choose from for your sign. 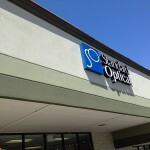 In order to get the best results, commercial signs should be placed in a prominent area where everyone can see the name. Large letters work best on the outside of the business. Letters in the same script as the rest of the store will work well. If the business is open at night, a neon sign is sure to attract customers. When placing the sign, you need to take into consideration the kind of traffic that will go by the business. If the store is in a shopping center, then you should put something a little smaller in a window or over the front door so that it grabs the attention of shoppers. You are in competition with other stores, so you need to have a sign that will stand out from the rest. 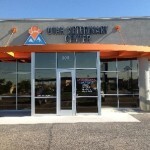 However, if your business is apart from others, then you can have a large sign that is at the edge of the parking lot. Bold letters that are easy to see work well.